*Looks at snivy* Umm, haya amy long time no see. the threat is far from over my love, blvd's plain failed. snivy... i'll protect you from anything i promise. I was worried that you would say that bear... ugh, why! why can't she remember anything!? i put my dam life at risk, trying to save her from those thugs.. amy, i need to take you somewhere safe plz amy? no matter what happens, i'm not letting those crime lords steal you again. *takes out blazing blades* i could smell these goons from far away. She's playing hard to get bro, what should we do? Greetings everyone! i heard you teenagers fussing from my house. *Takes out wedding ring* you don't remember about our future marrige amy? look at yourself in the mirror we have a small sign on our necks. *Looks at lyra* hi lyra. 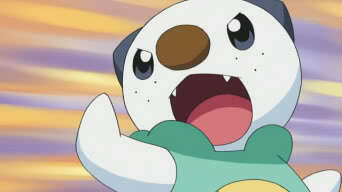 WHATEVER OSHAWOTT!. hello lyra can i go in your house to get away from those weirdos? *Walks in, slips on the hard floor* Ooouch! *starts having flashbacks* Osha?, bear? hay i thought i was still with blvd. hmm seems legit. It worked holy shît! lets all rest up and get ready in the morning. -Laying down on the beach- This is the life! -drinks lemonade- hopefully my friends will show up. -Yells for help- some guys are trying to hurt me! -Hears snivy's voice- i need to help her.